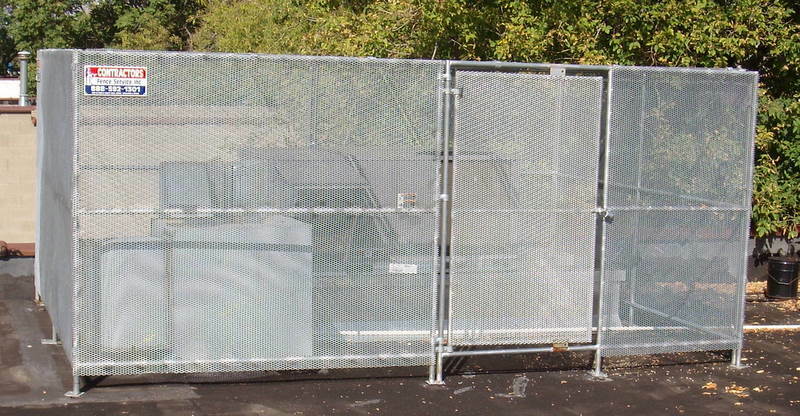 CONTRACTORS FENCE AND GATE SERVICE'S SECURITY ENCLOSURES ARE MADE OF 1/2" SECURA MESH WHICH MAKES IT IMPOSSIBLE TO CUT WITH BOLT CUTTERS. 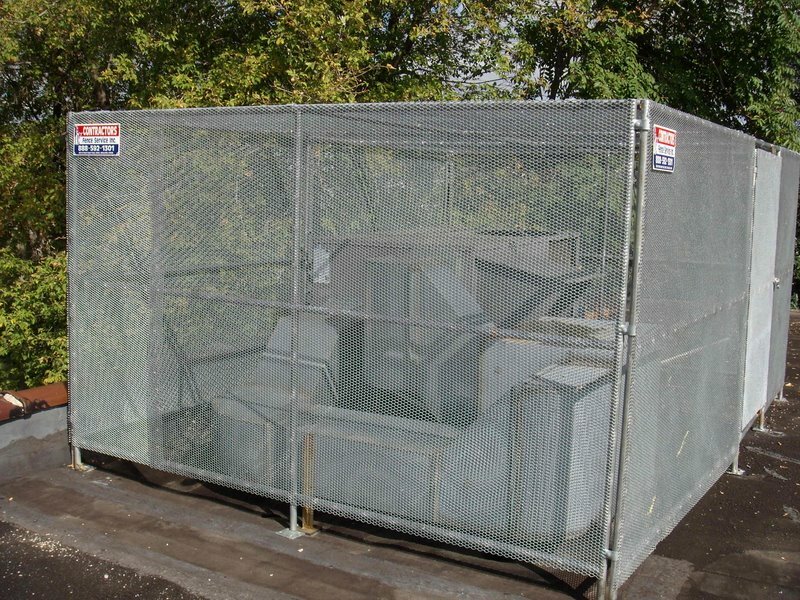 AS YOU CAN SEE ABOVE, OUR CAGES ARE COMPLETE WITH A WALK GATE WHICH PROVIDES EASY ACCESS FOR AUTHORIZED PERSONAL. 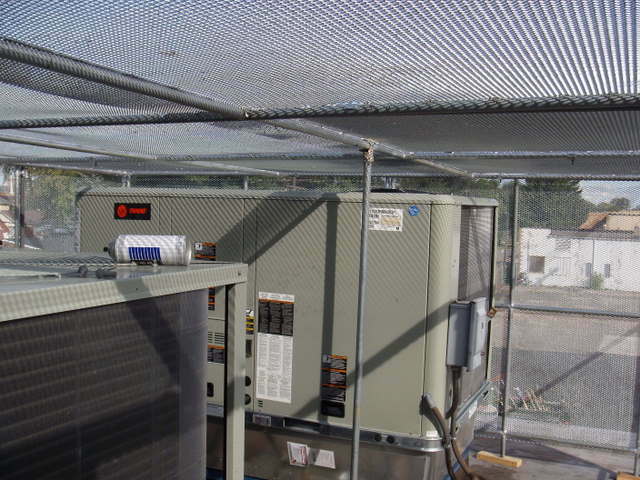 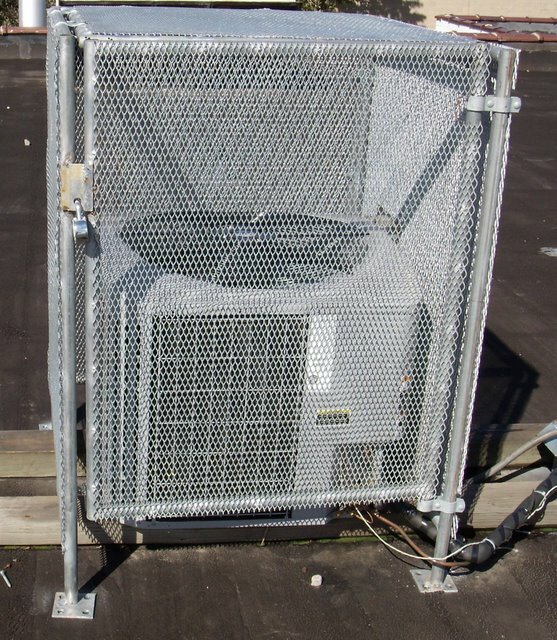 THESE ENCLOSURES CAN BE RETROFITTED TO FIT ANY AREA AND THEY PROVIDE PROTECTION FOR HEATING AND COOLING UNITS ON THE GROUND LEVEL AND ON THE ROOF TOP.